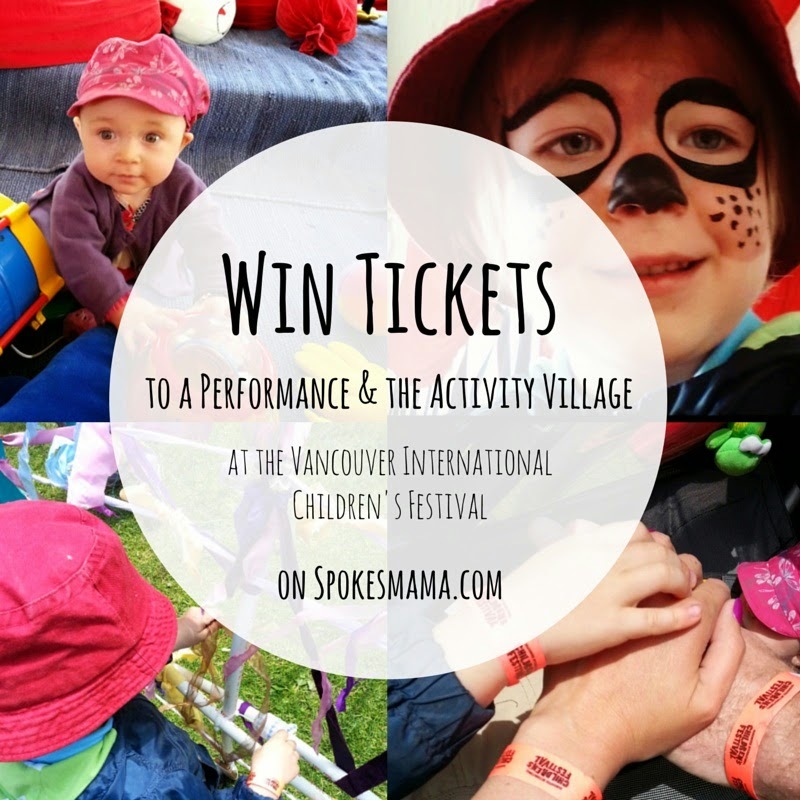 The Vancouver International Children's Festival is almost here! Returning to Granville Island May 25 to May 31, 2015 are a fabulous collection of local & international artists. 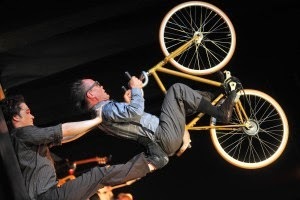 As always, Kidsfest is showcasing a wide variety of performances, from Anne Glover's World of Story and String, where she creates pictures from a simple loop of string, or the playful extravaganza of circus, music, theatre, & comedy that is Les Parfaits Inconnus. I hear they pile onto a bicycle & ride around around the stage. We can't wait to see that! What would a children's festival be without puppets? I Think I Can, from Australia invites kids to choose puppet characters & become temporary residents of a miniature model railway world. For more kid-powered entertainment, don’t miss the city’s first kid-co-created multi-media installation performance: Me on the Map. Our home country is well-represented on the stage, with Inuit poet, storyteller & throat singer Taqralik Partridge, who brings lively stories & tales from Canada’s north in There's A Whale In That Puddle. There's also trio Bon Débarras, who redefine traditional French-Canadian folk music & Vancouver's Will Stroet & The Backyard Band with his catchy songs about biking, libraries & even vegetables! Last but not least, if you can't decide who to see, there's always the Variety Show. Watch Festival performers cut loose at our annual Variety show on Saturday, May 30 at 6:30pm. 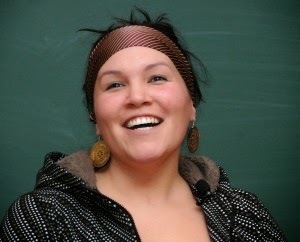 This year’s tour de force, hosted by comedian Michel Lauzière, features the captivating Inuit storytelling of Taqralik Partridge, the zany circus antics of Les Parfait Inconnus, the uplifting fusion beats of the Good Day Sunshine Band as well as toe-tapping, sing along tunes from Will Stroet & his BackYard Band. Besides the incredible ticketed shows I've mentioned above, there are also tons of fun activities at the Children's Festival Activity Village. Learn to juggle in the Circus Skills tent, get your face painted, wander through the Musical Maze, bang & clang & bong in the Musical Playground, create one-of-a-kind pieces to take home at the Bicycle Spin-Art tent, try out some string games, learn the Japanese art of paper folding at the Origami tent, keep your teeny one occupied in the toddler toys & baby zone of Twist & Toddle. Last but not least, are the incredible roving stilt walkers, storytellers, mascots, & interactive costumed characters you'll meet on site. So now that you're all excited about Kidsfest, are you ready to win tickets to the festival? I'm giving away four tickets to 1 performance* & four festival site activity wristbands (*excludes Variety Show), a value of $80, to one lucky Spokesmama reader. To enter, follow the instructions in the Rafflecopter widget below. I'll be contacting the winner by email & they'll have 48 hours to get back to me, so make sure the email you sign up with is one you check regularly! The contest will close on May 12 at midnight. Disclaimer: We were given tickets to see a show at the Vancouver International Children's Festival but were not otherwise compensated for this post. All the things! But especially I Think I Can! That one does look really cool! Will Stroet - he's a friend of a friend and I've never heard him live! Whaaa? Never seen him live? You should remedy that, stat! Les PArfaits Iconnus look so amazing! I would love to see them! A lot of votes for Will around here! I can't wait to let Bronte loose in there this year--she's going to love that too! We always love will Stroet. Musical Maze & Playground sound great! Sounds like a great day at Kidsfest! Can't wait to see them too! I've heard so much great stuff about Will Stroet and never seen him, I'd love to change that. You really should--both your littles would love the show. I'd have to say that its between Les Parfaits Inconnus and Will Stroet this year! Bahaha! Maybe we'll see you guys there? With all these votes for Will, I'm thinking his performances are going to sell out quickly! Better get your tickets soon!